Shhhh! Quiet! Use your inside voices, please—librarian Porky is determined to keep his library quiet. 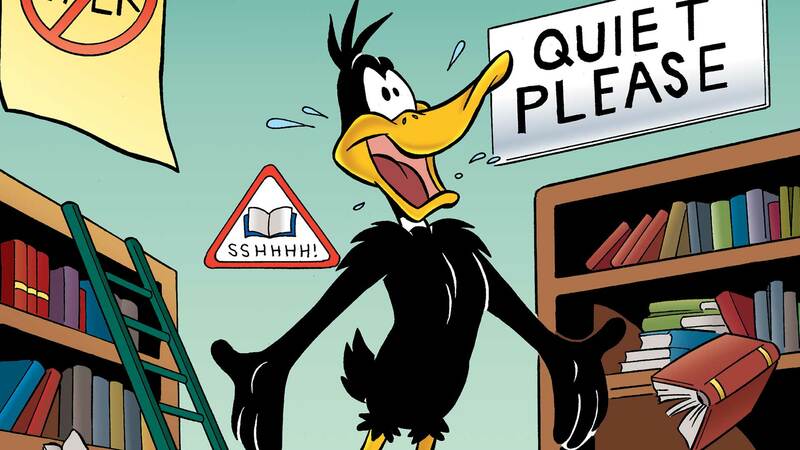 But that’s easier said than done when his new (and bored) library assistant, Daffy, decides to liven the place up…with fireworks, conga lines, and even a halftime show!